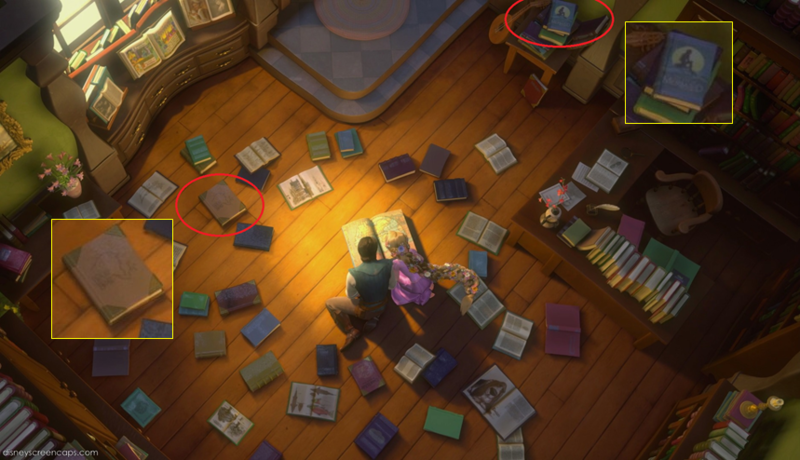 Tangled Easter Eggs- The Little Mermaid/Beauty and the Beast. 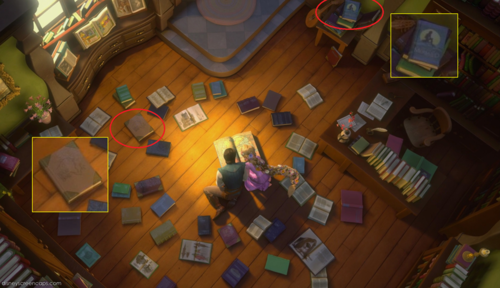 In the libary scene in the Kingdom Dance, two of the کتابیں in the لائبریری are 'The Little Mermaid' and 'Beauty and the Beast'. HD Wallpaper and background images in the Tangled club tagged: tangled disney rapunzel eugene the little mermaid beauty and the beast easter egg. This Tangled photo might contain داغ گلاس ونڈو and داغ گلاس دریچہ.